Print engineering grade plastic parts. The Markforged X3 leverages the incredible material qualities of Onyx – twice the strength and stiffness as standard printing plastics – with an advanced sensor suite to deliver unparalleled reliability. Parts meet tight tolerances with beautiful surface finish and are perfect for production line equipment. 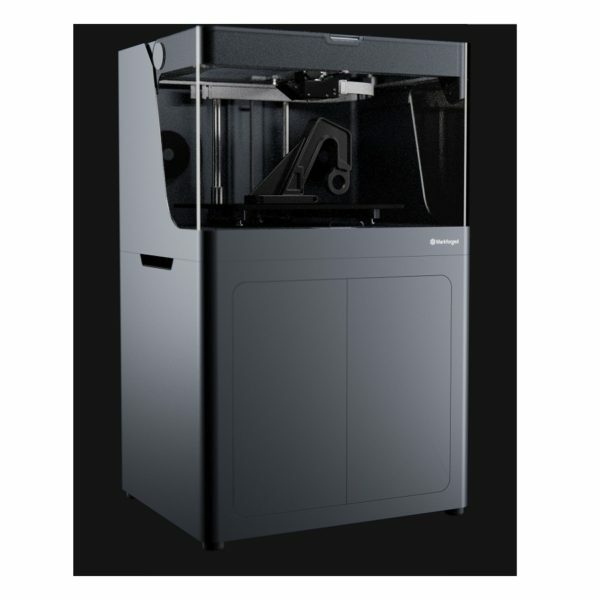 Uncompromised Strength, Precision, and Beauty Markforged 3D printers. Print anything from prototypes to production parts: Prosthetic devices and assistive technologies, robotics applications, jigs, fixtures, industrial tooling, and high-strength precision end-use parts. 20% stronger and 40% stiffer than ABS. Resistant to impact and a wide variety of manufacturing chemicals. These heavy-duty parts stand up to abuse. Designed to just work. Fully instrumented with motor encoders and a laser micrometer. Exceptionally accurate, reliable and repeatable.